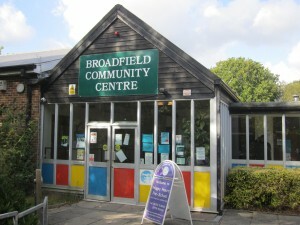 Broadfield Youth and Community Centre has reduced annual costs by over £5,300 through improving energy and water efficiency and reducing waste. Energy efficient and sensor controlled lighting has helped reduce electricity bills by £1,875 each year. Tungsten lamps and T12 fluorescent tubes are being replaced throughout the premises. LEDs have been fitted in the reception area and compact fluorescents in the office. Metal halide lamps were chosen for the Youth Hall as they provide good colour rendering as well as a high life expectancy, important as the high ceiling makes them difficult to change. Movement sensors have been fitted to automatically switch off toilet, corridor, reception and external security lighting when no one is present, reducing usage by around 40% in each area. Sensors have also been installed to control urinal flush frequency. Uncontrolled urinals can often account for 70% of an organisations water use. The Centre are expecting water and cost savings of around 460 m3 and £820 per year. Placing Save-a-Flush bags in toilet cisterns has reduced water usage and costs by 78 m3 and £138. Free from most water companies, the bags save one litre per flush, which quickly accumulates with 1,500 Centre users each week. Paper towels in the Centre’s eight toilets have been replaced by hand dryers. Increased electricity costs considered, this simple action has saved £2,500 per year and help prevent over a tonne of waste being sent to landfill. With the help of an energy consultancy, the Centre has recently switched to a cheaper electricity tariff. The consultancy also provides a monthly report, analysing usage and identifying areas for improvement. Julie and Tracy are looking forward to the additional savings! For more information about the UTILISE course contact the Sustainable Business Partnership for details. Other free services for South East based small and medium sized businesses include environmental and renewable energy site audits.